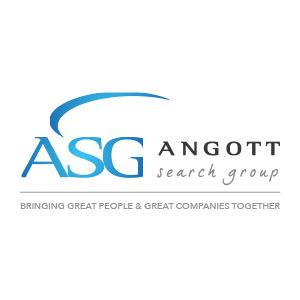 Angott Search Group has partnered with a thriving credit union in their search for a CFO. This person will be responsible for directing all practices and activities of the Accounting and Member Business Lending Departments and all financial operations of the credit union. They will provide counsel to the President/CEO and Board of Directors regarding the credit union’s internal accounting and financial reporting systems, policies, and procedures to ensure that they are in compliance with accounting principles and State and Federal rules and regulations. Oversees and directs budgeting, accounting, regulatory reporting, credit union owned real estate, and related accounting and finance activities of the organization. Working with the CEO, manages the investment portfolio of the credit union, in accordance with the credit union’s Investment and Liquidity policies. Working with CEO, determines deposit product pricing in accordance with credit union policies and ALM/profitability strategies. Works closely with external auditors, credit union examiners to ensure the credit union is in compliance with prescribed accounting methods set out in regulation, law, FASB rules, and generally accepted accounting principles. Serves as Chairman of Asset/Liability Committee and prepares periodic ALM reports including updating and running ALM simulations using ALM modeling software. Makes recommendations to ALM committee for strategic ALM changes. Bachelor’s Degree in Accounting or Finance or related field. Must have strong ALM Experience. A minimum of five (5) years of experience in management or supervisory capacity with experience in a financial institution. Experience working with auditors and examiners. Must be able to express written and oral information clearly, concisely and completely to all different levels of the organization with proper spelling, composition and grammar.